For those of you who know that I'm not Obama's biggest fan, please know that I disliked Bush twice as much. There just wasn't Facebook back then so you didn't see me rail against Bush on my blog. 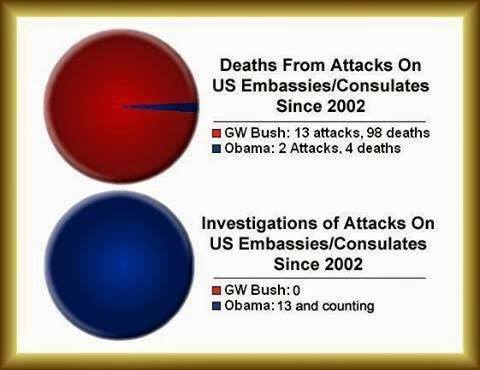 This is a perfect example of how hypocritical the GOP is, as they attempt to make Benghazi Hillary's scandal. That's about all they've got since everyone knows that their policies failed to attract voters with Romney. MIKE DIAMOND VISITS CLOWNS SYNDROME! I AM DYING OVER THESE LIPS!